Can we redeem a demoralizing campaign season? 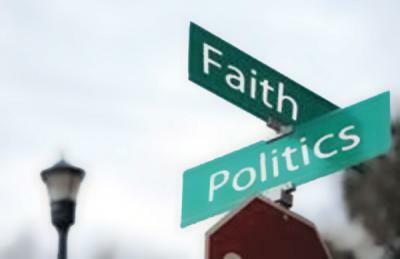 Six months ago Pope Francis told Congress, “You are called to defend and preserve the dignity of your fellow citizens in the tireless and demanding pursuit of the common good, for this is the chief aim of all politics.” I love politics, but I hate much of what passes for politics today. Since that papal challenge, American politics has focused on many things, but not human dignity and the common good. Mr. Trump was enabled by the silence of Republican leaders out of fear or hope that they might eventually win over his supporters. Old and new media have turned their airways and sites into mostly Trump, most of the time in pursuit of ratings and clicks, providing almost $2 billion worth of free media. Ted Cruz has shown why he lacks respect and friends. Marco Rubio destroyed his hopes when “little Marco” became “little Trump,” embarrassing his children. John Kasich is hoping a positive message can win at a brokered convention. Senator Graham said choosing between Donald Trump and Ted Cruz was like choosing between “being shot or poisoned.” He has chosen the poison of Mr. Cruz to try to stop Mr. Trump. Donald Trump’s voters have made him a vehicle for frustration and resentments about economics, immigration, trade, race and politics-as-usual. Working-class voters have reasons for anger. Republicans have offered cultural appeals on abortion, family and race, but have delivered tax cuts for the rich, trade deals that favor the powerful and war. The Democratic establishment dismisses these voters, seeking to build a coalition of African-American and Latinos together with single women, religious “nones” and cultural elites who support abortion and L.G.B.T. rights. This bipartisan neglect of white working class voters has real human consequences, since their life expectancy is declining, not rising as with other Americans. Republican “leaders” hope for a brokered convention to stop a hostile takeover and preserve their status, brand and ideology. Democratic leaders marvel that the Republicans are likely to nominate a candidate more unpopular than Hillary Clinton. Her campaign is winning the most delegates, but with recent losses and without young voters, Democrats hope their electoral college advantages and a Republican meltdown will overcome questions of trust and a thirst for change. But over seven years, Democrats have lost 900 state legislative seats, 12 governors, 70 House seats and 13 Senate seats. Their ads focus more on protecting Planned Parenthood than on lifting up the poor. Religious leaders seem invisible or irrelevant. Evangelical voters are supporting a three-times-married Planned Parenthood supporter who has never sought forgiveness and loves “Two Corinthians,” though people who attend church weekly are less likely to support Mr. Trump. As Bernie Sanders and Hillary Clinton argue over who opposes limits on abortion more vigorously, where are the progressive religious voices to defend the unborn and to offer alternatives? As Donald Trump and Ted Cruz compete to deport immigrants, ban Muslim refugees and monitor mosques, defenders of religious liberty seem silent or preoccupied by other matters. Six months ago, who thought a secular, Jewish Democratic socialist, Bernie Sanders, would refer to Pope Francis more than any of the five departed Catholic candidates? Who thought Donald Trump would pick a fight with the pope over immigration and that Francis would respond that “building walls instead of bridges” is “not Christian?” I did not believe that politics could be so broken and demoralizing. One mandate is already clear. Political and religious leaders, parties and media, candidates and voters need to examine our consciences and change our behaviors. We need to return civility, human dignity and the common good to politics as Pope Francis challenged us to do just six months ago. The campaign of Donald Trump has brought us a new low in American politics. While the Republican party richly deserves the chaos he has brought because it has been fostering his kind of behavior for years, the rest of the nation does not. The idea that he could possibly become president is scary. The voters have to demand a higher standard of public discourse before it will change - and that is a unlikely development. The root of this incivility, I often think, is economic insecurity. Scarcity makes us crazy, and since 2007 it has become impossible to ignore how many of us are terribly vulnerable. The bishops have focused so much on sexual ethics for the last quarter century that the moral implications of these economic realities have gone (mostly) unarticulated, so that today it is difficult for church leaders to find a way into the debate. The challenge is for the church to bring attention back to what CST tells us about our economic lives. Only that, I think, can lead us back to a politics that is focused on reality, one more susceptible to reason. John Carr is director of the Initiative on Catholic Social Thought and Public Life at Georgetown University in Washington, D.C.